All of the examples in the MPDAF web pages are shown being typed into an interactive IPython shell. This shell is the origin of the prompts like In : in the above example. The examples can also be entered in other shells, such as the native Python shell. The listed dimensions of the cube, 1595 x 10 x 20, indicate that the cube has 1595 spectral pixels and 10 x 20 spatial pixels. The order in which these dimensions are listed, follows the indexing conventions used by Python to handle 3D arrays (see Spectrum, Image and Cube format for more information). Let’s compute the reconstructed white-light image and display it. The white-light image is obtained by summing each spatial pixel of the cube along the wavelength axis. This converts the 3D cube into a 2D image. Let’s now compute the overall spectrum of the cube by taking the cube and summing along the X and Y axes of the image plane. This yields the total flux per spectral pixel. When imported, MPDAF initialize a logger by default. This logger uses the logging module, and log messages to stderr, for instance for the .info() methods. See Logging (mpdaf.log) for more details. Because different sub-packages have very different functionality, further suggestions for getting started are provided in the online documentation of these sub-packages. For example, click on Cube object, Image object, or Spectrum object for help with the 3 main classes of the mpdaf.obj package. Return the median over a given axis. effects of a median on the variance. The axis or axes along which a median is performed. dimensions of the cube and returns a float. 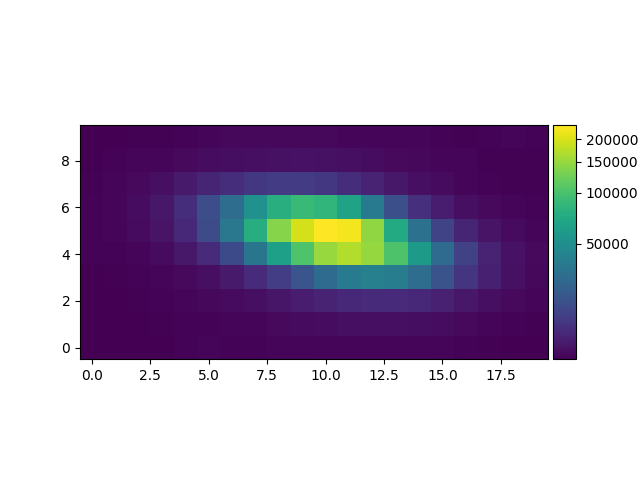 Plot the image with axes labeled in pixels. 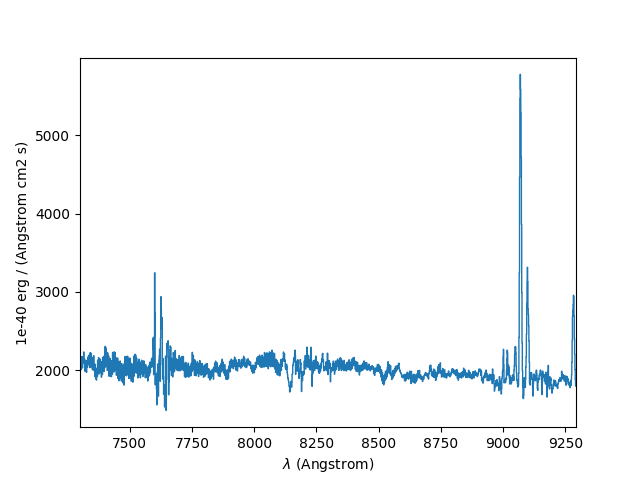 If either axis has just one pixel, plot a line instead of an image. the value 'h', then a colorbar is drawn horizontally, above the plot. ``matplotlib.axes.Axes`` object can be passed via the ``ax`` argument. An optional title for the figure (None by default). to the mapping algorithm specified by the scale argument. set to the maximum pixel value in the image. using the IRAF zscale algorithm. If 'h', a horizontal colorbar is drawn above the image. If 'v', a vertical colorbar is drawn to the right of the image. If None (the default), no colorbar is drawn. or None to have one created using ``matplotlib.pyplot.gca()``. along with the pixel value.